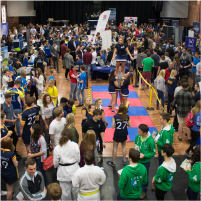 Your Students' Union OFFICIAL Freshers Week is the ONLY way to get your university experience started. 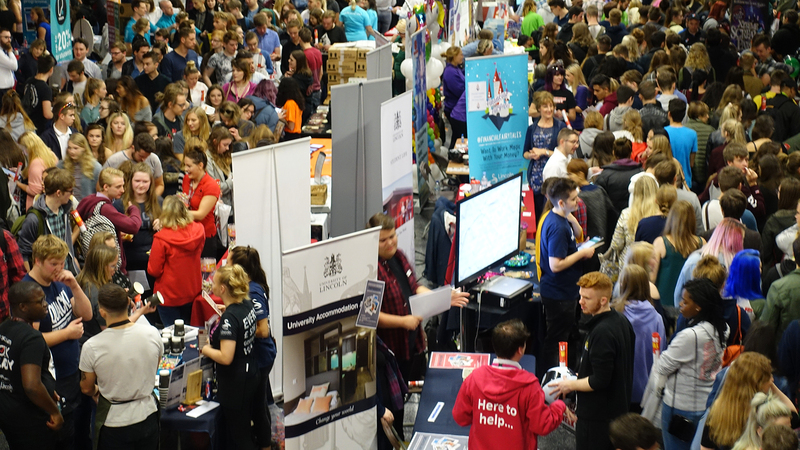 With a week’s worth of club nights, fayres, sports, societies, info, help, and support, you’ll find everything you need to get your bearings, meet lifelong friends, and make the most out of your arrival at the University of Lincoln. Keep an eye out for the Lincoln Students’ Union’s logo on all OFFICIAL Lincoln Freshers Week events so you know exactly where the party is. Not sure which Lincoln Freshers events are 'official'? 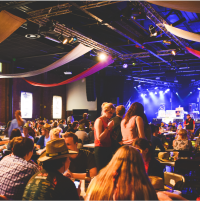 Check out your incredible Freshers Week lineup! Make the most of your first week in Lincoln, and remember that everything listed below is free* with your Platinum Card! 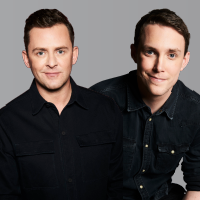 The annual legendary Welcome Party with Radio 1’s Scott Mills & Chris Stark bringing the biggest tunes to the dancefloor. Plus special guests Duke – the champions of beatboxing – perform live, an outdoor fairground, giveaways and more for your welcome to Lincoln! The biggest music brand in the world, MTV are coming to Lincoln Uni with their Freshers Tour. Get ready for headline sets from SIGMA, SHAPES, MEL C and Club MTV’s REWIRE AND VARKSI! Make a team with your new housemates, choose a silly name and join us for the first quiz of the year. 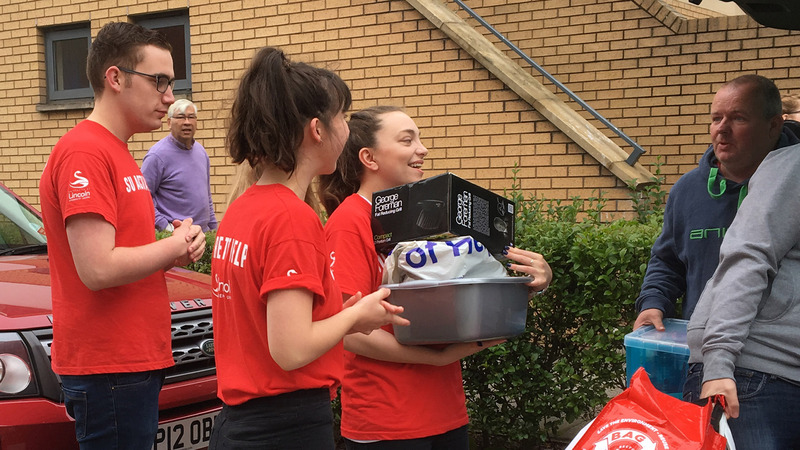 Kit out your new places with the prizes on offer, including a games console, fridge full of beer, student survival kits and loads more! 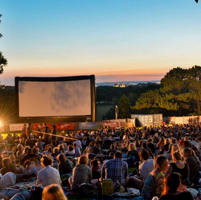 Time to dust off your picnic blankets for our outdoor cinema on a giant screen. Gather on The Square (outside the Students’ Union) for a blissfully chilled evening as we put on a screening of the 2017 blockbuster, 'The Greatest Showman'. 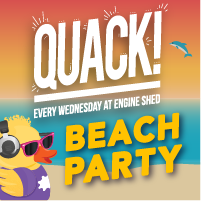 Quack is the ultimate student party, held EVERY WEDNESDAY in your Students’ Union. Every week you can expect the biggest anthems, an epic atmosphere and the best drinks prices in the city. 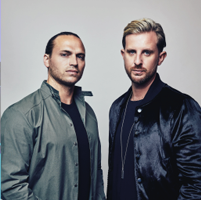 We have two huge headliners performing live on stage as part of Freshers Week 2018! 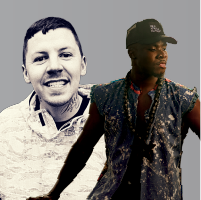 Firmly established as one of the crossover superstars of British music, Professor Green brings his chart-topping hits to Lincoln alongside urban music’s most thrilling new talent in years, 3-time MOBO award winner Fuse ODG. Support comes from OMYO & July Jones. 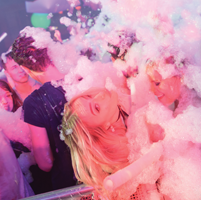 Expect to get wet & wild as we bring two of the UK’s BIGGEST FOAM CANNONS to the stage, along with amazing drinks deals, huge tunes, giveaways and more! Their mission is simple; gather 40 of the UK’s tip-top traders, source over sixty years of incredible stock and offer it up for the most affordable prices in the country. 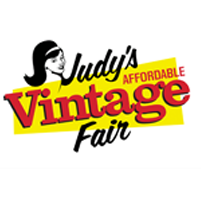 Come along and grab a bargain at Britain’s leading vintage fair. 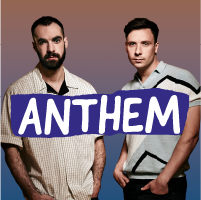 Anthem is your weekly festival held at The Engine Shed every Saturday! Join us each week for huge stage production, guest DJs, fantastic giveaways and only the biggest tunes with DJs playing a mix of all that’s good in music! Joining us behind the decks for our Freshers launch party will be festival favourites, Two Door Cinema Club! You’ve seen him sneaking into places he shouldn’t be, now come and see him where he most definitely should be; live on stage. 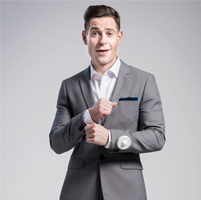 Catch Lee Nelson headlining a night of comedy for our Fresher’s week finale, with support from Matt Richardson & Steff Todd. 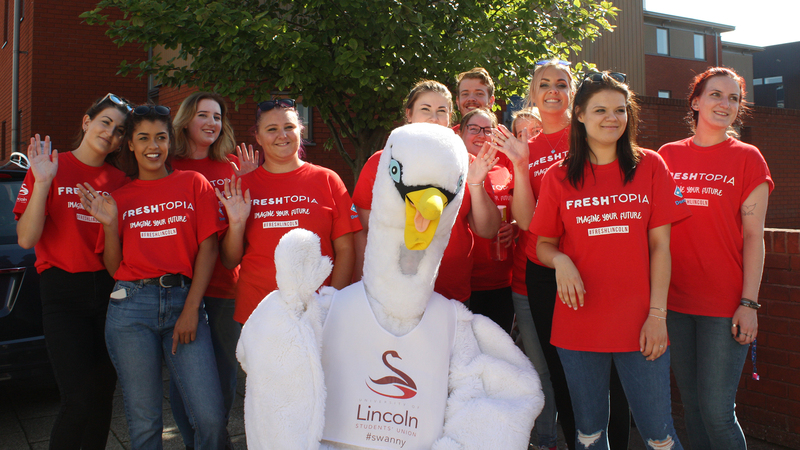 Get to know what Lincoln has to offer. 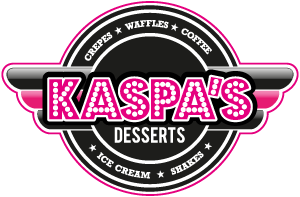 Speak to local and national bars, shops, brands, and services, and don’t forget to collect your freebies! The Midweek Monster your parents warned you about. All out student madness every single Tuesday at Lincoln’s only super club Home! 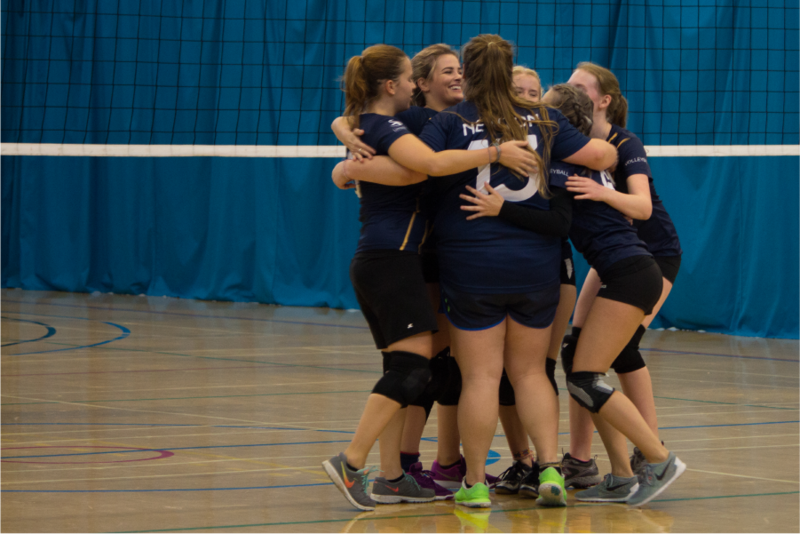 It doesn’t matter if you want to play competitively, or socially, come on down and meet our incredible range of sports teams. 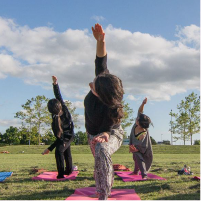 Recharge your batteries with Yoga & Zumba sessions taking place throughout the day… or why not try out our smoothie bike & create your very own delicious smoothie! 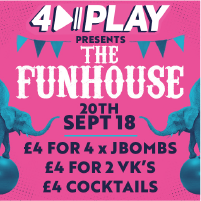 Start your weekend with 4Play every Thursday at Home. Table Tennis - Playtime. Play Doubles, Drink Doubles! Inflatables galore! 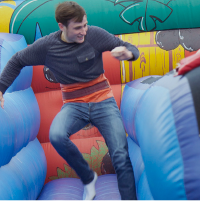 Come to The Engine shed with your new friends and flatmates for a fun afternoon with Inflatable Twister, Bungee Run, Gladiator Duel, Bouncy Castles & more! 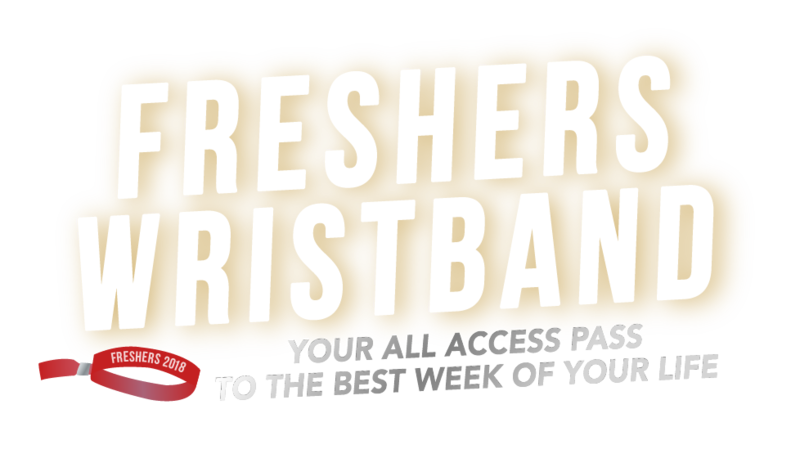 Your Students' Union wristband is the easiest way to skip the queues, save £££'s and guarantee access to all OFFICIAL Freshers Week events. 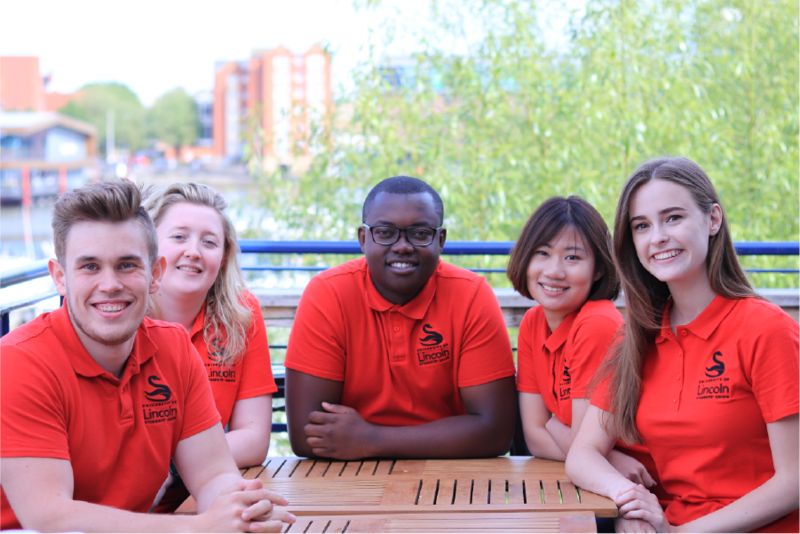 From sports and societies to club nights to advice and representation, the University of Lincoln is here to ensure you have the best time whilst you’re studying at Lincoln. 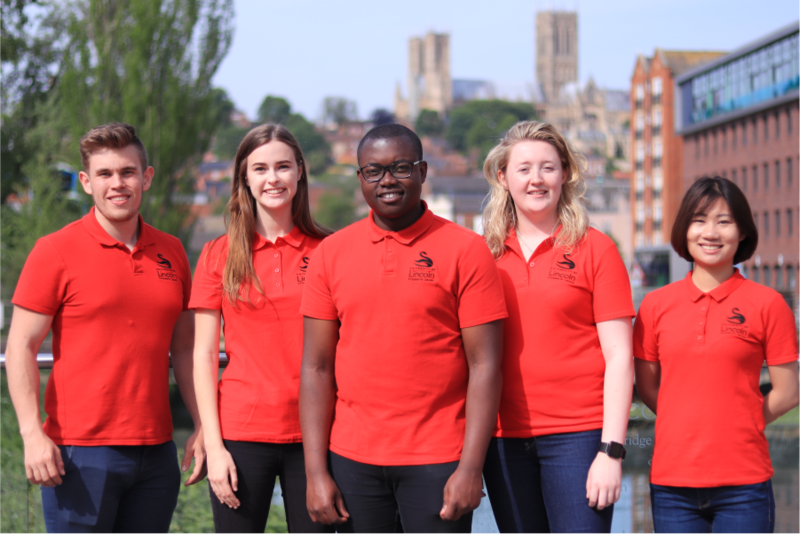 Your Students’ Union is led by 5 full-time Student Leaders, as well as over 1,000 volunteer academic reps and activities committee members, who have been elected by Lincoln students to make sure that your University of Lincoln experience is the best it can be. Get involved in over 130 sports and societies, or take part in social sport – our free non-competitive sports programme. There’s something for everyone. Lead a healthy, active lifestyle at Lincoln. No matter your situation or level of study, your Students’ Union Advice Centre is always on hand to be a part of your support network. With our professional, independent and impartial advice we’re here to help you with any problem, big or small. 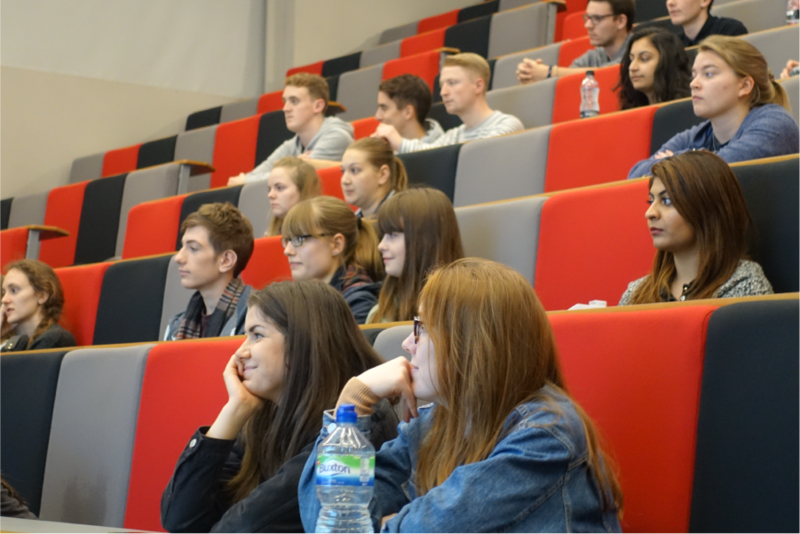 Our award-winning commercial venues provide something for every student. 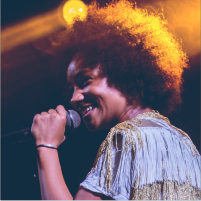 From our homely student pub (The Swan), to our vibrant bar (Tower Bar), to our nationally recognised live entertainment venue (The Engine Shed), it all starts here. 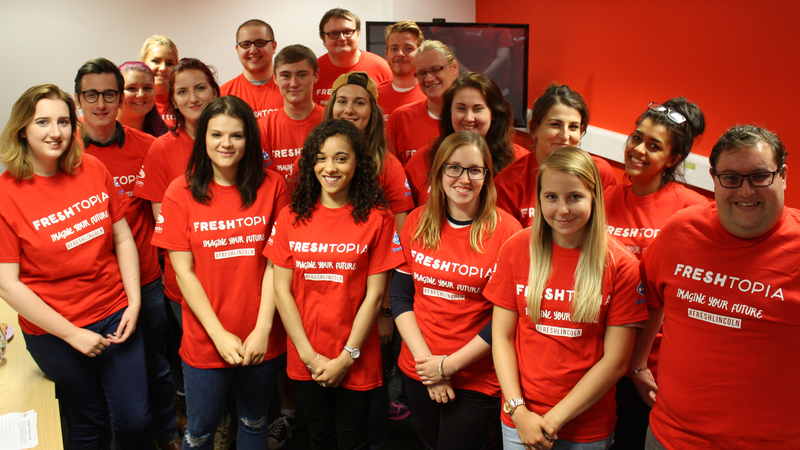 Led entirely by students, our Campaigns Network helps effect real change at Lincoln. While giving under-represented groups a platform to campaign, it also empowers our Student-led Projects. 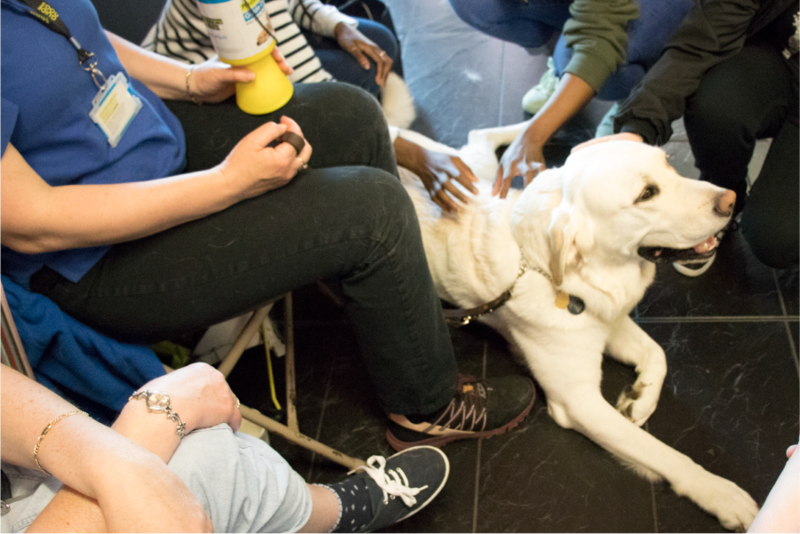 Find out how you can get involved and make a difference. 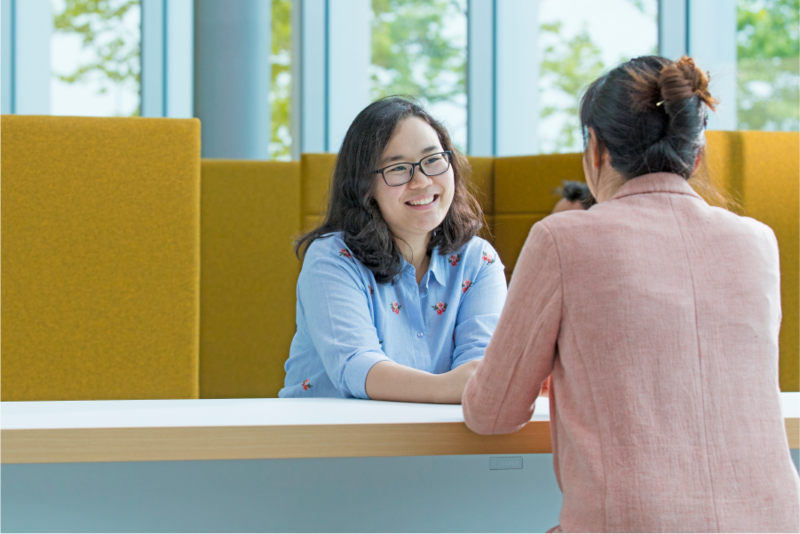 We have over 500 Academic Reps who are there to represent your academic interests, address issues and share best practice across the University; as well as 9 Academic Opportunities designed to make your CV stand out from the crowd when you graduate. Be prepared. Be Work Ready. Work Ready covers all the different ways that we can help you develop your employability skills and know how to use them when applying for jobs. It’s never too early to start improving your employability prospects for when you graduate. 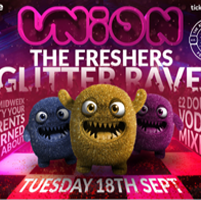 Want a taste of what Lincoln’s OFFICIAL Freshers is all about? Here’s what it looked like last year. 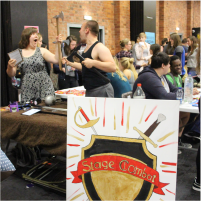 Discover the behind-the-scenes of Lincoln’s biggest student fayre, help students settle in to their new accommodations, take part across the year in some of the most exciting campaigns and events this side of the Humber. 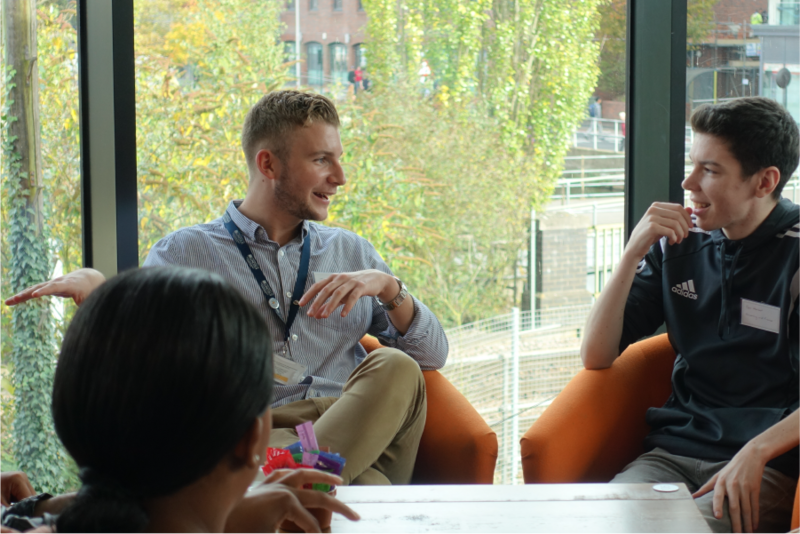 Becoming an SU Activator gives you an exciting insight into the world of a nationally-recognised Students’ Union, as well as earning yourself volunteer hours and great experience for your CV. In recent years, there have been many companies who try to take advantage of confused students as they prepare for the best week of their lives. We would like to assure you that there’s no need to rush. 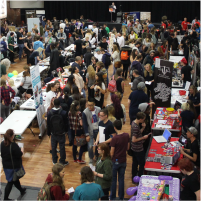 The University of Lincoln Students’ Union provides all of the on-campus official Freshers Week events. If you’re ever in doubt about whether an event is official, look out for either the Students’ Union logo, or the University of Lincoln logo. The University of Lincoln Students’ Union is also affiliated with Home Nightclub. Home’s ‘Union’ and ‘4Play’ events are the only city centre events which are included in the official Freshers Week line-up. Our Wristbands and Platinum Cards will be released on Thursday 16th August at 10am on our website. Please be very careful and check where you are purchasing tickets from; every year we have lots of reports of students accidentally buying the wrong wristband and not being able to access where the majority of students are. If you have purchased an incorrect wristband, then please contact the place you purchased it from to get a refund. Still confused? Feel free to drop a message to [email protected], or find us on Facebook or Twitter.